When God has another plan. About two weeks ago Kym and I drove to North Carolina to the memorial service of a friend 30 years old who passed away, as I drove that road that I had driven so many times before I couldn’t help but thank God for all that He has done and brought me through. I’m not going to do into detail on this blog post… But, it’s been an amazing journey so far and the title of this song has really rang true in my life these last 33 years. The Lord’s ways are not our ways! I am learning that it is when I cannot rationalize or deal with things in my own strength that the Lord is asking me to truly surrender. It is surrender because it’s not what I want, and I can’t convince myself of any good reason for what is happening. And I’ve come to realize this is exactly where the Lord wants us – fully dependent on and surrendered to Him. Well, this morning we have a better understanding as to why it seemed to be that way… God has another plan! Needless to say we are shocked/excited that Groves baby number five will be arriving early next year. 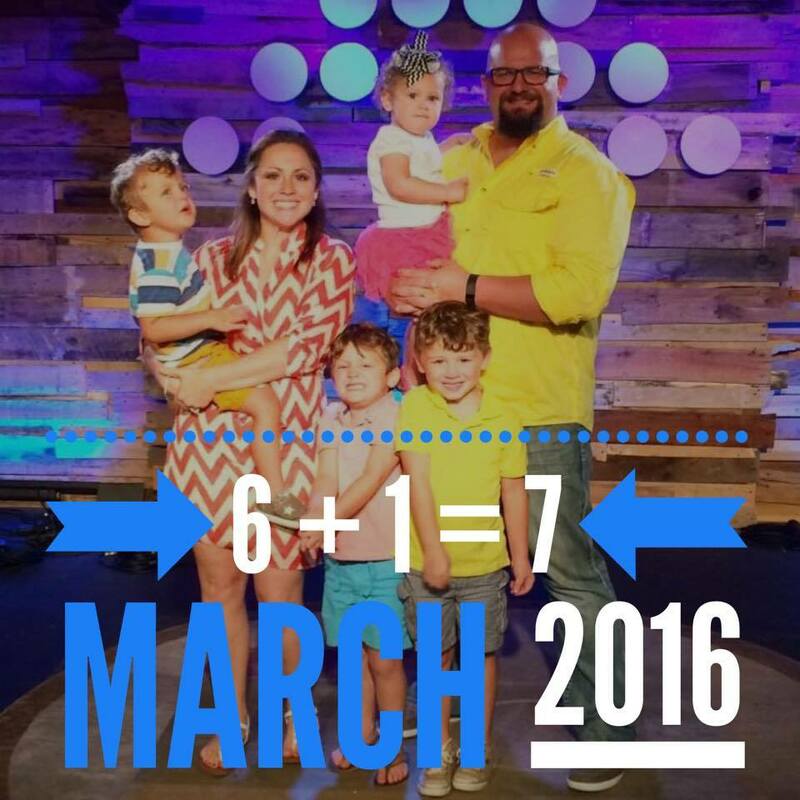 We never planed on having 4 kids in 5 years and surely not 5 kids in 6 years! However, God knew this all along! The plan. We all have one. Right? This idea in our head about how our life is going to be. My plan was awesome. I was going to marry the love of my life. We were going to get pregnant soon after with our first child and then every two years or so after that we would add another little person to our family until we felt complete. Perfection right? But, you see, that was JC’s plan, not God’s! I know letting go of “the plan” is so incredibly hard and downright scary. But honestly, plans are boring. And when you chose to trust, you will find this incredible sense of purpose and fulfillment. Without a single doubt, throwing that stupid old plan out the window is the best decision I/WE ever made. I love the life God is allowing me to live. I LOVE MY BIG FAMILY! No we are not those type of people who don’t believe in birth control. Yes we do know how this happened/happens – LOVE this question! #1 response.. Cracks me up every time.. The answer is always YES and we rather enjoy it!!! Yes we understand the burden it’s gonna be to feed these boys who are seemingly bottomless pits…. Grocery bills are not for the faint of heart. Seriously. I’m convinced that the only way I’m going to afford them all once they hit their teen years is if we’re growing our own food. Including a head of cattle. NOT one of my children are a mistake or a oops! I am married to one of the most amazing/selfless/steady/hardheaded/courageous/dedicated/ beautiful/Godly woman I’ve ever met or known. We choose to celebrate the life that God has blessed us with. Please know we don’t post things on social media to rub it in the face of our friends and family who can not have children. Our hearts are often broken and sometimes question why having children is so easy (and often) for us and so hard for others. I’m sorry. I really do hurt for you. ‘Large’ is a subjective term. For some folks, more than two children is ‘large’. For myself, having five children at home, I think seven or more is “large”. It’s all a matter of perspective. I’ve come to accept that to most people, five is a large family. I think it’s kind of the same idea of what “old” is. It’s always at least twenty years older than your current age. Or thirty. Say goodbye to private time. YUP. Laundry is never-ending. I shutter to imagine how crazy it will be when they actually start wearing clothes all the time! Dreams change. Where once my winning lotto dreams consisted of traveling to exotic places and owning a nice house, now I dream of industrial grade appliances. A double set of industrial washers and dryers. A walk in freezer. A room for every child, Soundproofing. A kitchen large enough for a massive table that we can all fit around and share memories with. That Kym and I will live in such a way they see Jesus through us and not just from us! Forget gas mileage. To haul around a crew our size, gas economy isn’t an option. I’ve yet to see an affordable vehicle that fit our family that isn’t a complete gas hog… And I’m not driving a Ford Transit! Early bedtimes = A must. 7:30PM bedtime. It’s a survival skill. The peace and quiet that happens once the kids are finally down for the night is our sanity saver. Get used to noise and chaos. There is no way I can think of that you can have this many people in one house and not have noise and chaos. Especially when those people are Groves! Our house might never be picture perfect but it’s home! Doing Roll Call. Just get use to it! Getting asked “Are you going to get a vasectomy/your tubes tied?” It’s None of your business! Thanks for asking. When God has another plan, walk on and just say yes! Love the “Dreams Change”. We only have 4 kids and I dream about some of those. Congratulations on number 5 coming along. It was great to see you again at PVBC youth camp and to hear you preach again. A message so perfect for me to hear AGAIN. (not from you – but God keeps pounding me with the same message – in a good way) It is always encouraging to hear that we are not the only ones who are still trying to “deprogram” from a former life of legalism.